Star Rani Mukerji is set to shoot an uplifting promotional music video for Hichki that celebrates the human spirit of overcoming social prejudice. Hichki – tells a story within a story. 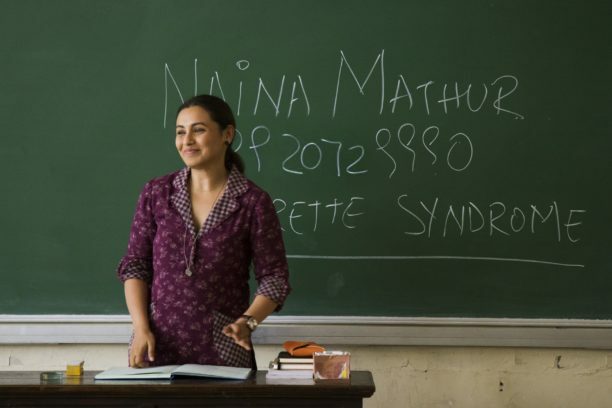 First, it narrates the story of Naina Mathur (played by Rani Mukerji) who has a nervous system disorder, Tourette syndrome. It focuses on how she turned her disadvantage into an inspirational success story. Second, the film is also a reminder about discriminations that exists in our society and has become a part of our daily lives. This is highlighted through Naina’s students, who face severe social prejudices because of their underprivileged background and how Naina empowers them to stare down at social stigmas to try and make a life for themselves. Hichki is about celebrating human spirit, it’s about positivity. Keeping with the optimistic spirit of the film, Rani will shoot a special promotional music video for the film that celebrate victory over all sorts of social stigmas. To be filmed in the same locations as the film, including colleges, slums and streets of Mumbai, this video will highlight the film’s core message. Directed by Siddharth P Malhotra, Hichki is set to release on 23rd February 2018.